Showcase your vintage wedding photo in a stunning ivory frame finished in brushed gold! 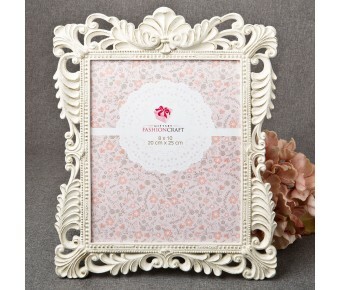 The perfect wedding picture calls for the perfect frame and this beautiful design will showcase it magnificently. 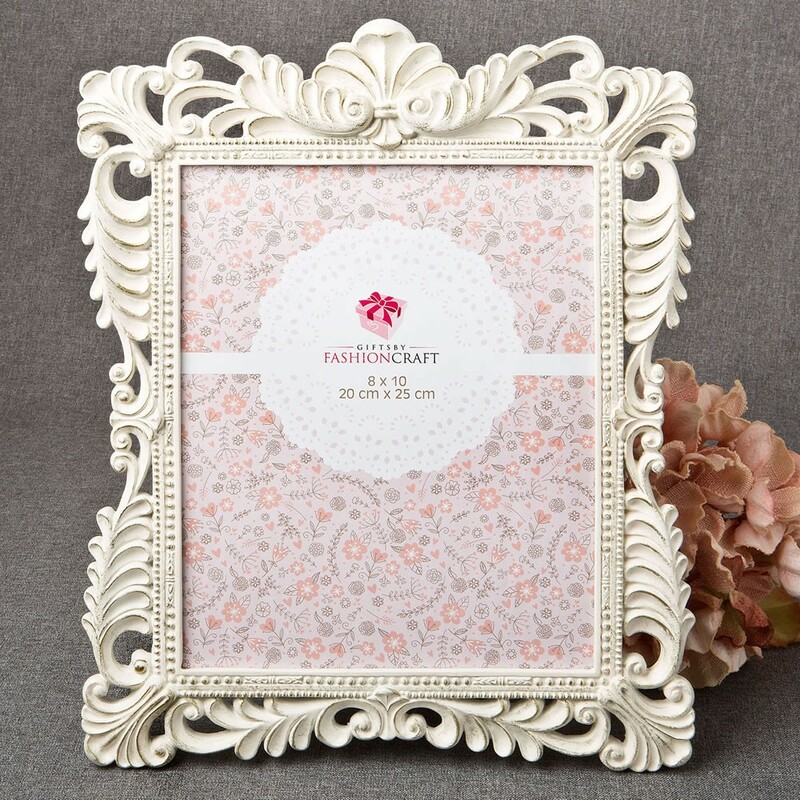 Our frame is made from poly resin and features an ornate vintage design. It is hand painted in a lovely ivory color and lightly brushed in gold. The frame holds a standard 8" x 10" vertical photo behind a glass front window. The frame has a cardboard easel backing which is hinged for easy insertion of the photo. Charm your clients with a selection of our stunning frames to hold their wedding photos. This ornate frame will be a winner with its rich, vintage look. The perfect frame for a vintage wedding photo!